The Irish Property Owners Association recent press release has brought in a lot of reaction in government circles. The IPOA press release - Need to encourage investment. The State should ensure that every person living in it has access to good quality accommodation at an affordable price. The Irish Property Owners Association (IPOA) believe this is usually done through a combination of more social housing, more rental accommodation and increased building where more accommodation is required. Chairman of the IPOA, Stephen Faughnan said that there is a perception that the private rental sector is responsible for all housing difficulties and is the landlords' fault. "Landlords are clearly part of the solution," he said. "The State has not built sufficient social housing which means that more people are looking to the private rental sector. The current Rent Supplement system is not fit for purpose and people who need assistance in paying for their accommodation are suffering." Between 2006 and 2011, the private rental sector doubled in size. "The State needs landlords to provide good quality rental accommodation, but Government actions mean available accommodation is decreasing," said Mr Faughnan. "Punitive intervention in the market has been unhelpful and is a major factor in the current situation. Tenants may be surprised to discover that circa 60% of the rent they pay may go to the State. The reason for this is that rental income is classed as unearned, but a landlord must comply with all the legislation around letting – including repair and maintenance, insuring, advertising, showing, and returning accounts to Revenue." He added that traditionally, a person who decided to invest in property borrowed to fund the property and was allowed to claim the full interest paid on the borrowed money as an expense against rental income. "In 2009, this was changed, not just for the people investing from then onwards, but for all the people who borrowed before. This resulted in some landlords paying income tax and USC on money that does not actually exist. " 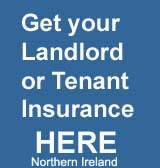 Others punitive actions for landlords include punitive levies of up to 700% for arrears of Non-Principal Private Residence Charge, and Local Property Tax which the IPOA said was brought in to fund services for the occupier, but instead of the occupier being liable for the services they are using themselves, Revenue make landlords the liable persons. "The LPT is a legitimate business expense in a rental property," said Mr. Faughnan, "but is not tax deductible so a landlord has to earn double it to pay it, and PRSI of 4% is also now being charged on rental income. The cost of improvements to a rental property cannot be claimed as an expense until it is sold, but the need for improvement is accepted in the meantime." The taxation system for rental property is flawed, he added, and this has resulted in landlords leaving the sector. Bedsit accommodation with shared bathrooms are now outlawed with no alternative in place. "This has reduced the supply of the most affordable accommodation," he said, "and we now have homelessness at levels never experienced before, with centrally located previously multiple properties being turned into single family accommodation. Property prices are going up and short term investors have been encouraged into the sector, mostly cash buyers who may exit the sector when prices increase." The IPOA have called for the current tax treatment of the sector to be reviewed to attract long term investors, rather than encouraging overseas vulture funds who have no agenda other than quick profits. "Continually talking of Rent Control, or its new buzzword 'Rent Certainty' ,will result in less investment in the sector and reduce the supply of property. It could also have the unintended consequence of increasing rent as landlords now charging below market rent will be concerned about the restriction and may have to bring their rent up to market rent." "Rent cannot be arbitrarily raised, by 5,10,20 per cent as has been claimed, because the Residential Tenancies Act states that rent cannot be more than market rent. Rent Control is not the answer, - adequate supply of accommodation is. The Government needs to put in place appropriate strategies to encourage long-term native investment in the private sector and build up the trust that was lost by blatantly unfair taxation, and other Government inspired practices, which are unique to the business of letting property." Then the Irish Times published - an article by Colin Gleeson "
Irish Property Owners Association criticises ‘punitive’ interventions in the market"
A group representing property owners has said Rent Control “is not the answer” to the State’s housing crisis and called on the Government to provide an “adequate supply of accommodation”. Today the IPOA emailled members saying that Senate by Senator Aideen Hayden in response to our article in the Irish Times 24th September. The comment bears no resemblance to the article or to the IPOA Press Release . The Association makes it clear that all rental property should be of a good standard. As Chairperson of Threshold, the Organisation that considers itself the Tenants champion and who are heavily Government subsidised, Senator Hayden is no friend of landlords. Senator Hayden is the person who is leading the introduction of a Deposit Protection Scheme, Rent control or Rent Certainty, as she may refer to it. She mentions the Unions, SIPTU included, who we understand were the people who demanded the abolition of tax relief on Interest payments. It is widely expected that Senator Hayden intends to represent Labour in Dun Laoghaire / Rathdown area. Senator Aideen Hayden: Last weekend, Mr. Shay Cody, the General Secretary of IMPACT put out a call for Rent Control to be introduced, equating it to controls that were put in place by previous Governments on the price of a pint, which was an interesting observation. SIPTU has also agreed to support rent controls. I have raised this issue previously and do so again because it is a matter of great urgency which merits a serious debate. Some 2,400 people, all of whom are unique cases, presented as homeless in the Dublin region in the second quarter of this year. We are in a major crisis.